One seemingly normal February day, I received a friendly email and a cake order inquiry from Val, a fellow baker. While this does happen from time to time, this one was rather peculiar because Val was from England! A full 4800+ miles from me! Val explained that her son lived in Seattle and she wanted a surprise birthday cake for her daughter-in-law Abi. I was so excited, I couldn't write Val back fast enough to get more details. After a few emails back and forth, her cake order was finalized and I had my very first transatlantic order! Val requested that the cake be chocolate and liked my idea to fill it with berries. Being that it was March when I made the cake, I opted for frozen cherries which worked just fine. I also felt compelled to include a thick, luscious layer of chocolate ganache made from Felchlin's Grand Cru Maracaibo 65%, the most amazing chocolate I've tasted. After stacking the filled cake I frosted it with Swiss Buttercream. As for the decorations, Val gave me creative freedom but asked that I find a way to celebrate Abi's love of all things crafting. 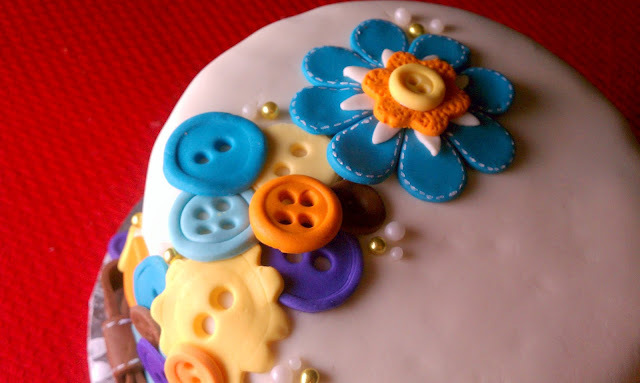 It took me a little while to get inspired but I eventually settled upon a patchwork flower, button and bow theme. Girly but yet not too over the top. Divide the batter evenly between the cake pans. For 9-inch cake pans, bake 1 hour or until a toothpick comes out clean; for half-sheet pans, bake 45 minutes or until a toothpick comes out clean; for cupcakes, bake 20 to 25 minutes, or until they spring back after being touched. For this specific cake, I used the entire recipe to make several 5-inch layers of cake in a 6" pan and baked it for about 15-18 minutes. There should be some crumbs that stick to a toothpick but just bearly. Place the chocolate into a large stainless steel bowl and set aside. Heat the cream in a small saucepan over medium heat, whisking often. Just when the cream starts to come to a boil, pour it over the chopped chocolate and let it sit for 3 minutes. Whisk it until it is smooth and no lumps appear. You can also whip it with a hand or stand mixer for a fluffier texture. This is absolutely wonderful! What a beautiful looking cake (and I'm sure beautiful tasting cake, too). I love the crafty accents you added to the cake. 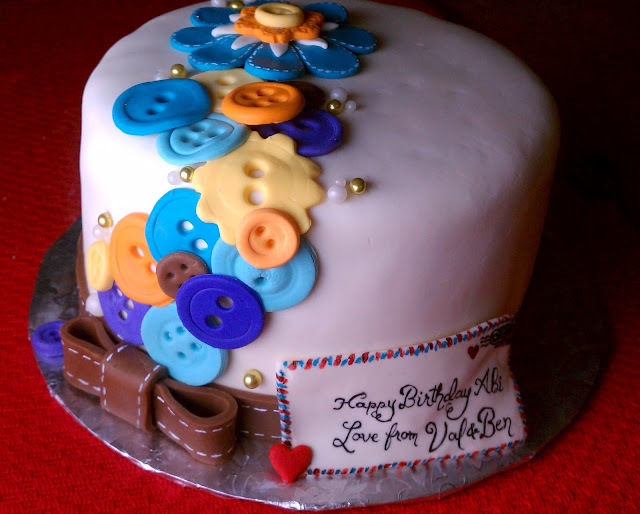 I'm absolutely sure that your friend Val and both her son and especially the birthday girl Abi were head over heels in love with this very special sweet creation. On this very grey and very wet Irish afternoon, you've definitely made it a lot brighter just by reading this post, the lovely story behind it, and the photos of one dee-licious looking cake - berries and chocolate - a perfect combination. Thanks for sharing. I'll be smiling all the rest of the week! It's so cool that you got a transatlantic order. The cake looks amazing, I'm sure the recipient was super happy. Great job! I am sure the customer and the birthday girl were more than pleased. Thanks for a wonderfully delicious recipe! 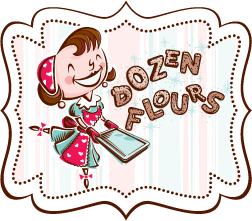 I stumbled upon your blog by a delightful 'accident', and I am so thankful that I Did :-) I have cupcakes to make for an event this weekend and I am going to try your recipe! Thanks again and God bless!